Viba, is bright, hardworking & a keen learner. 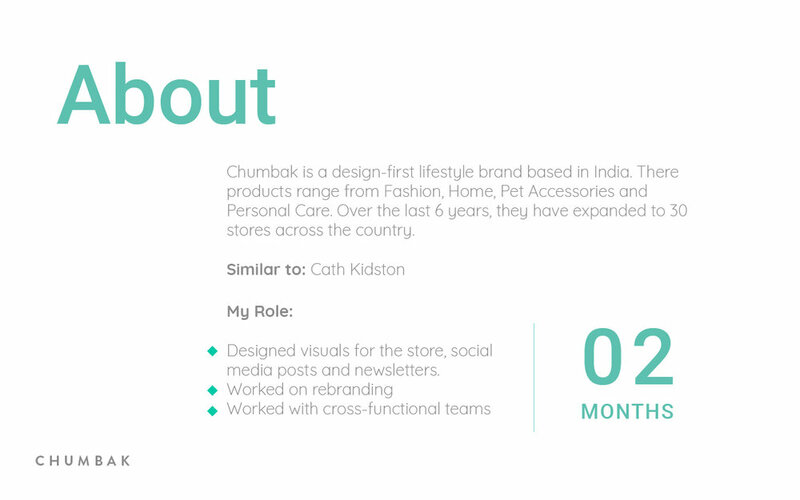 In a very short span of time she was well aligned with the different teams she was working with at Chumbak. Her understanding of marketing requirements is quick and she's open to working on feedback .Very responsible & proactive. All the best Viba!